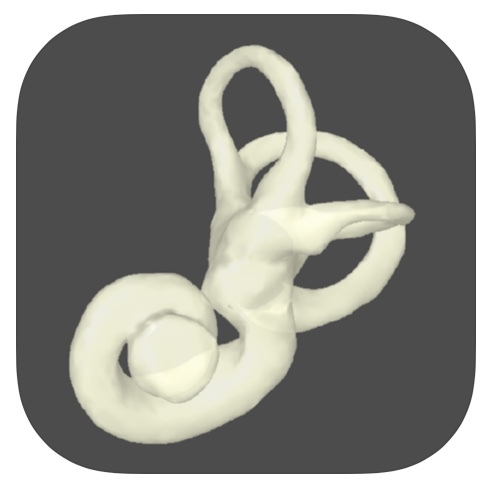 Australian researchers have created a free educational app that attempts to demonstrate how the inner ear balance system works and its relationship with eye movement. The app, called aVOR (angular Vestibular Ocular Reflex), is available for download to tablets and smartphones. The neat thing about this app is that one can manually toggle settings specifying whether there is dysfunction present and where it is present. Once settings have been set, one can than see how it affects eye movements. The app does use a device's accelerometer such that moving the device also simultaneously move's the avatar's head the same way. One can than see how the eyes respond to such head movements on the device's screen AND see which semicircular canals in the labyrinth is activated or suppressed. Although this app is principally made for healthcare students and professionals, patients can certainly use it as well. and see eye's and labyrinth's responses. where the dysfunction is located. Of course, one can also watch videos to learn how the inner ear balance system works.